Will The Air You Breathe Be Next?! 1law4all > Will The Air You Breathe Be Next?! Coin-in-the-slot-breathometers coming to a chest near you? In seeking to deprive Kiwis of their fresh water, National is using the same process set up for the theft of the beaches from the NZ public via the Marine and Coastal Area Act. I.e. Mostly huis on maraes, effectively keeping the non-part-Maori public out of all consultation. National is now repeating the trick with an even more important resource: your fresh water. That’s NZ’s lakes, rivers and water, without which you could not live. Will the air be next? The racist and bullying Freshwater Iwi Leaders Group gave the government until 6th February 2016 to sort out their claim to own the water. This particular group of bullies wants ownership of all Crown owned river and lake beds and the water in them as well as the title to the nation’s fresh water. Yes—the very rain that falls out of the sky! They are demanding joint management agreements with all councils. Effectively a veto right. Already, the Gisborne District Council has been suckered. It has betrayed future generations with its August, 2015 decision to set up a joint management agreement with a sub-tribe of Ngati Porou to manage the Waiapu River catchment. As Dr. John Robinson, an author of the recently published book, One Treaty, One Nation, pointed out in a letter to the Gisborne Herald; The waters – the rivers, lakes and sea – are part of our commons, the property of us all, for general use without regard for position or race. Ideally, maybe. But that’s not how Whinlayson’s sees your future NZ. 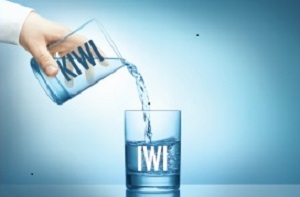 Another demand of the Freshwater Iwi Leaders Group is for a $1 billion fund paid for by you and me – the ever-conned NZ taxpayer – to an iwi approved entity . . . to address capacity and capability, including mechanisms to assist decision making, water quality and economic mechanisms. Whatever that may mean! In an act of egregious duplicity, it is whispered that an appeasing Shonkey and his hoary henchman Chris Whinlayson will announce their surrender to the part-Maori we own the water demand just before Christmas. That way, their thieving, if not treacherous act of appeasement and capitulation to racism will be obscured by the Xmas festivities and holiday distractions. Shades of the evil communist Stalin – the man whom Shonkey’s father adored and fought for as an ally in the Spanish Civil War. The tactic is the same trick that Whinlayson used when he released his controversial Consultation Document Reviewing the Foreshore & Seabed Act 2004 on 31 March, 2010. I.e. Just two days before the Easter holiday break and the start of the end-of-first term school holidays when so many people had other pre-occupations. To sweeten this bitter, racist pill and make plain National’s boundless deceit, Shonkey will tell the mostly terminally-gullible NZ voters that the tribes will not have ownership of water. Rather, they will have rights over it. But rights to something as vital as water is tantamount to full ownership and Shonkey has already largely conceded that point. I.e. those water rights will be akin to Whinlayson’s customary marine title – de facto ownership of the foreshore & seabed. This racist grab for the nation’s water is such a threat to us and future generations that it must not be allowed to happen. Everyone who cares for New Zealand must make such a clamour that even a government as insensitive and as treacherous as the Shonkey administration – once again dancing to the tune of the tribal elite – will not be allowed to get away with such a crime against the commons.